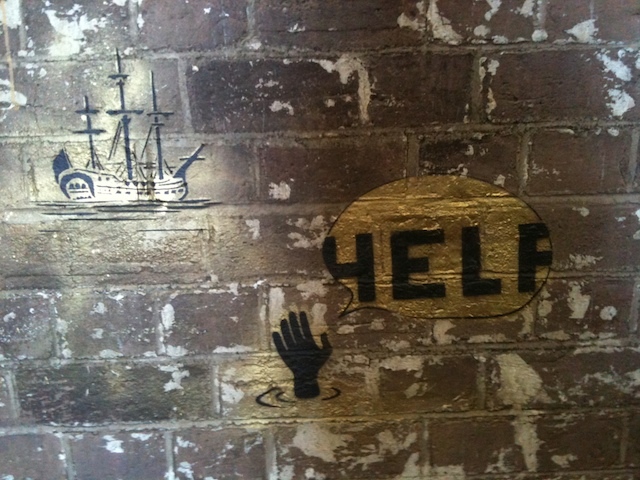 I’m in Sydney, visiting Outpost: Art From the Streets, a street art festival being held on Cockatoo Island (I’ll be participating in a forum on The Politics of Street Art, along with Tom Civil, Mini Graff, and fellow academic Kurt Iveson, who writes the blog Cities and Citizenship). 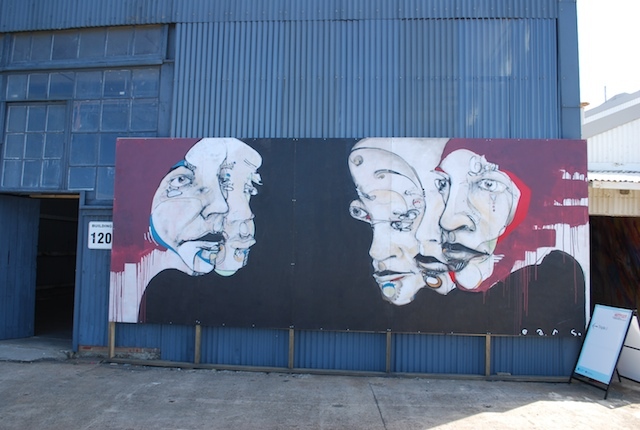 Outpost, if you can believe the advertising, is the largest festival of street art to date in the southern hemisphere. 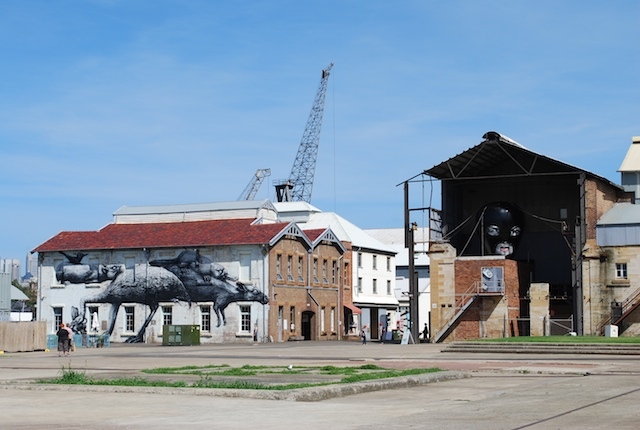 It’s located on Cockatoo Island, in Sydney Harbour, and certainly this setting is one of the factors that make it a compelling experience. 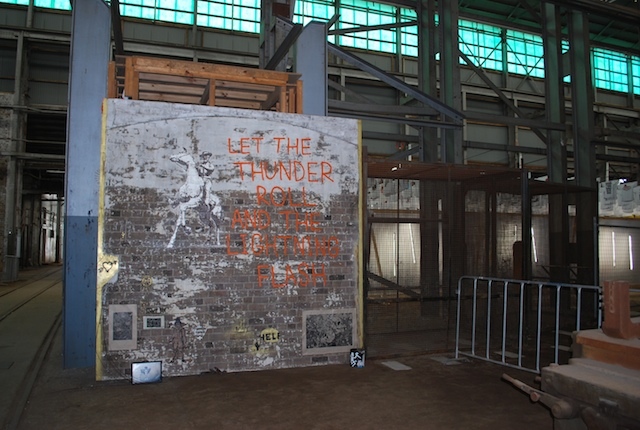 The island is the largest in Sydney’s gorgeous harbour, and has been a prison, a school, a jail, and a shipyard – its most recent incarnation prior to being abandoned as a kind of monument to a bygone age, with empty warehouses, rusting equipment and gigantic cranes dotted about. 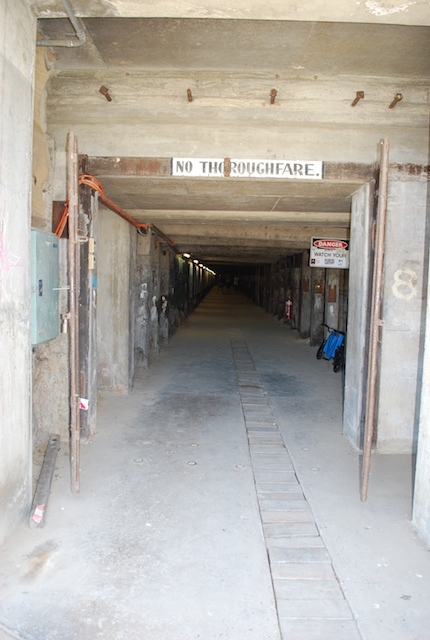 You can read about the island’s past and recent uses here. 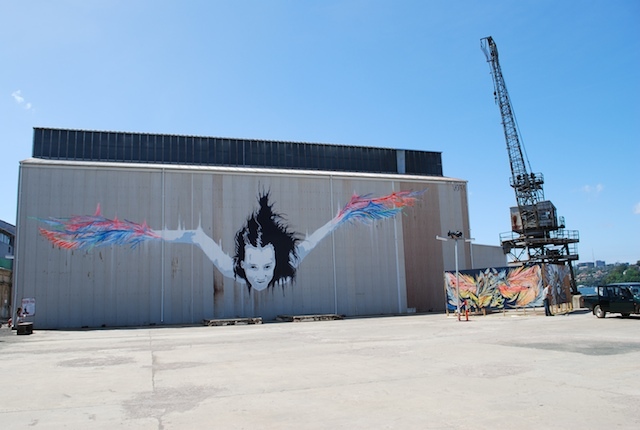 It’s a clever choice as a location for a street art festival. 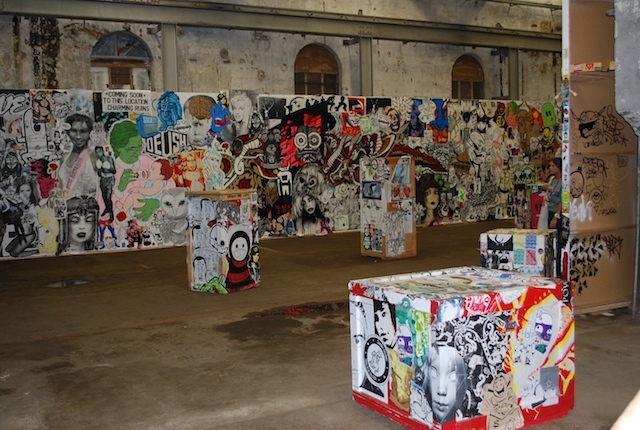 The warehouses, factories, and alleyways provide an urban backdrop for the display of street artworks; street artists have often been drawn to abandoned buildings as sites in which to make art, although the resulting artworks are not easily viewed by members of the public. 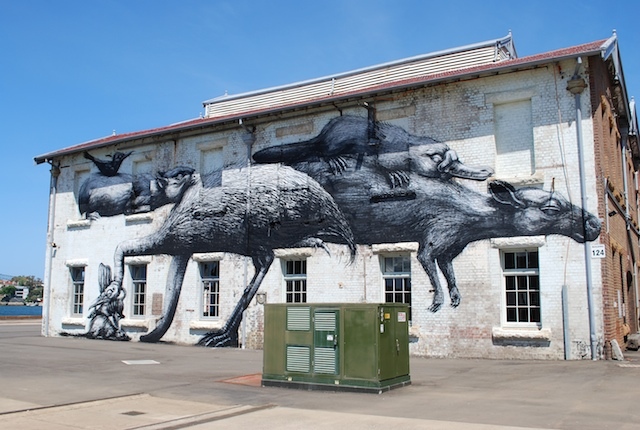 And in Australia, such locations have a specific history in the world of street art: during the early 2000s in Melbourne, the famous ‘Empty’ shows would take over abandoned or derelict buildings for the creation and temporary display of art. Although Outpost draws on this rich history, it is, of course, is a world away from it in that it has corporate sponsorship, a merchandising outlet (for souvenir T shirts and caps), a couple of laid-back bars selling pizza and beer, and a well-organised staff who assist visitors in getting their bearings on the island, handing out maps and answering questions about the artists, and who oversee the queues waiting for ferries back to Circular Quay. 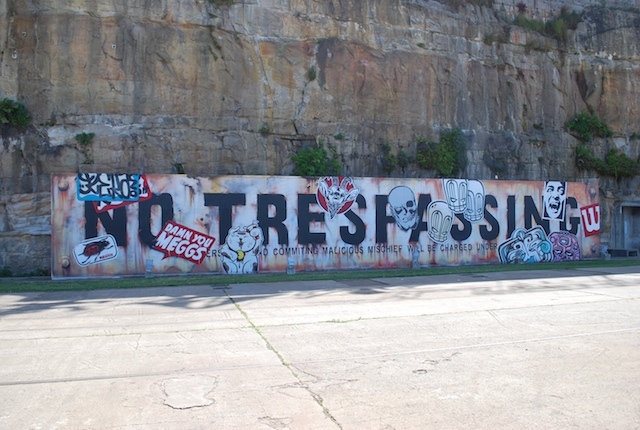 To that extent, Outpost is definitely a product of a certain ‘mainstreaming’ of street art – which isn’t necessarily a bad thing; but visitors should go to see it aware that what’s been created is a somewhat sanitised and domesticated version of what street art can be. 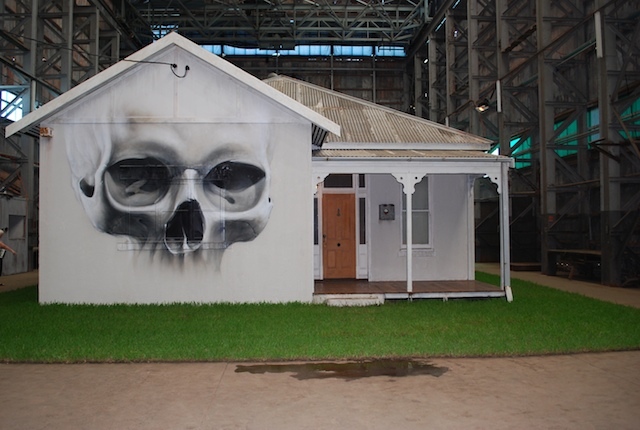 Having said that, Outpost still makes for an extremely interesting and exciting event, and I would say if you can get to Sydney during November, or if you already live here, it’s a must-see. So what’s there to be seen? Well dozens of artworks and installations, for one thing, many using the buildings and the geography of the island in really satisfying and innovative ways: Vexta’s enormous winged figure; Roa’s monochrome animals; the Everfresh piece mocking anti-graffiti laws; Lister’s giant inflatables painted with his now-signature faces and super-heroes; some cuprocking high above the bluff rising from the centre of the island; artworks lining a long tunnel through the bluff (evoking the tunnels and drains that so many artists have painted over the years, whether that be Melbourne’s Cave Clan or the artists in the Underbelly project in New York City). One disappointing thing I was struck by is that many artists have been given hoardings to paint on, which are then displayed around the island. There’s a lot of uniformity to the size of these hoardings and in the way they are displayed, and I found myself wishing that there had been a tad more ingenuity in thinking through the question of how artists could display their abilities. What else? 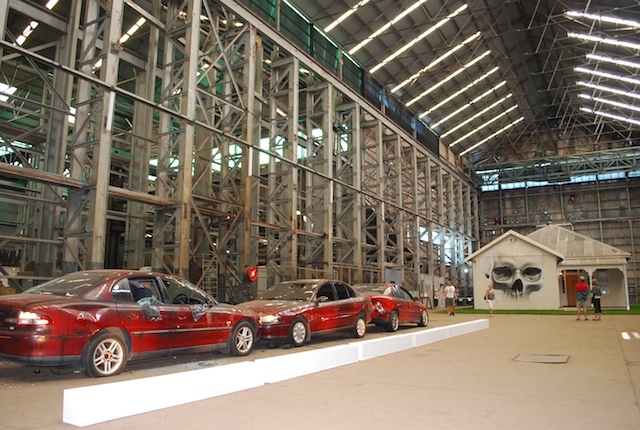 Inside some of the buildings are various exhibits. 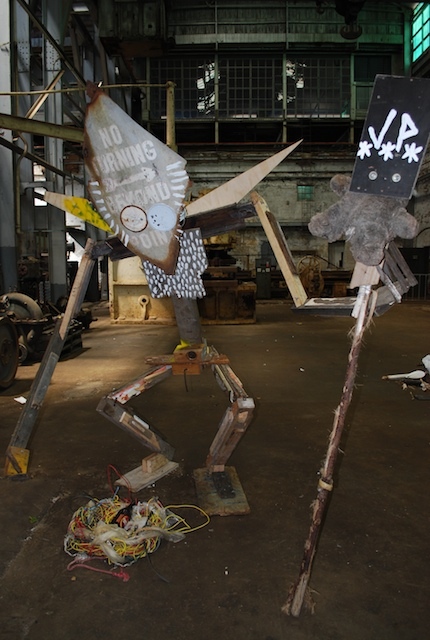 One displays works from two private collections of street art, which means that you can see examples of work on canvas or print editions by Faile, Adam Neate, Antony Micallef, Swoon, Dolk, Lucy MacClauchlan and, of course, Banksy. 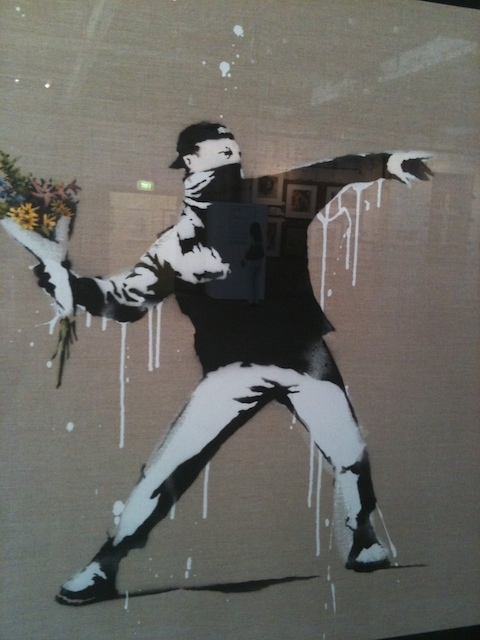 There are over two dozen works by Banksy on display, and there’s an undeniable pleasure in seeing them, even though – or perhaps because – they are so well-known…. 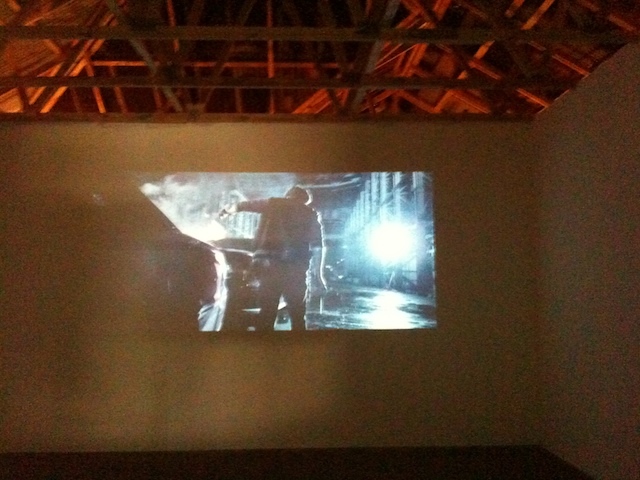 And then you realise that the film was made inside that same building, which brings the violence just watched on the screen into the building itself, and puts you in the position of being a witness to that destruction twice over: once on the screen, and then again as you stand next to the burned out shells of the cars. 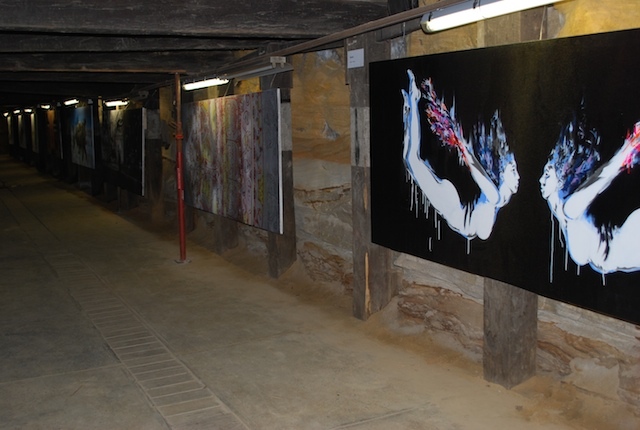 It’s an incredibly powerful work, and it utilises the space brilliantly, both in its making and in its display. If there was nothing but Kid Zoom’s ‘Home’ on display at Outpost, it would be worth making the trip to Cockatoo Island for it alone; as it is, it’s the high point of an exhibition that, for good and ill, showcases many of the defining characteristics of the street art world today: its collectability; its proximity to advertising; its proximity to ‘vandalism’; its political nature; its too-often repeated visual tropes but also its sheer, undeniable aesthetic joys.